Thank you so much for such a great post, Rosie, and for sharing such a cool idea! 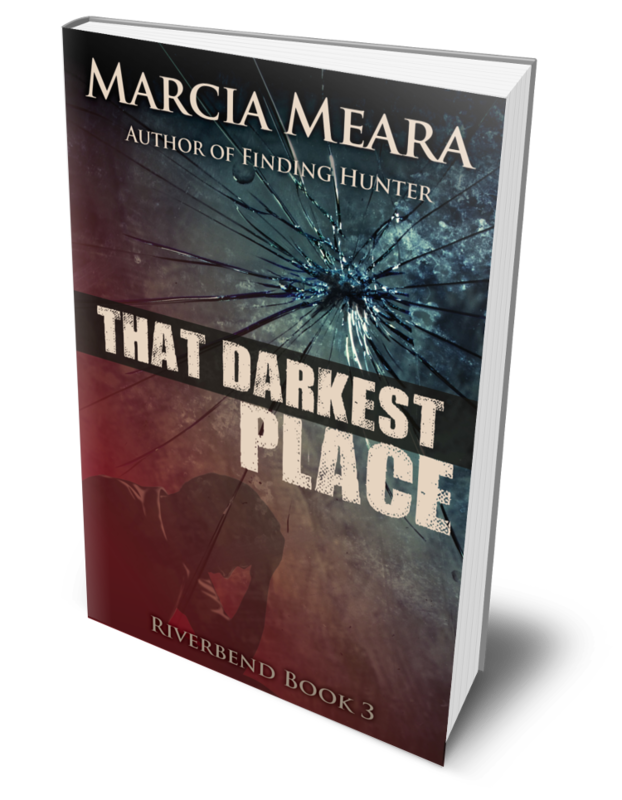 I have several reviews almost ready to go, and will post on Amazon as well as Bookin’ It. I heartily encourage everyone to do this. I can tell you from my own personal experience, the more reviews I get, the more sales I make, and the higher in the Amazon rankings my books move. Of course, doing an occasional promo would help, too, but PLEASE try to remember to leave reviews for those books you love. I reblog it on 30th July as I have other scheduled articles until then. A great idea anyway. Reviews are essential to authors, so please, do join in! Great idea. Since joining Goodreads and publishing on Amazon I started reviewing each book I read in the hope that the Amazon Angel would look down favorably upon me and increase my book sales and reviews…. but I actually enjoy reviewing, it stretches our writing brain and makes us consider what readers want from a novel. 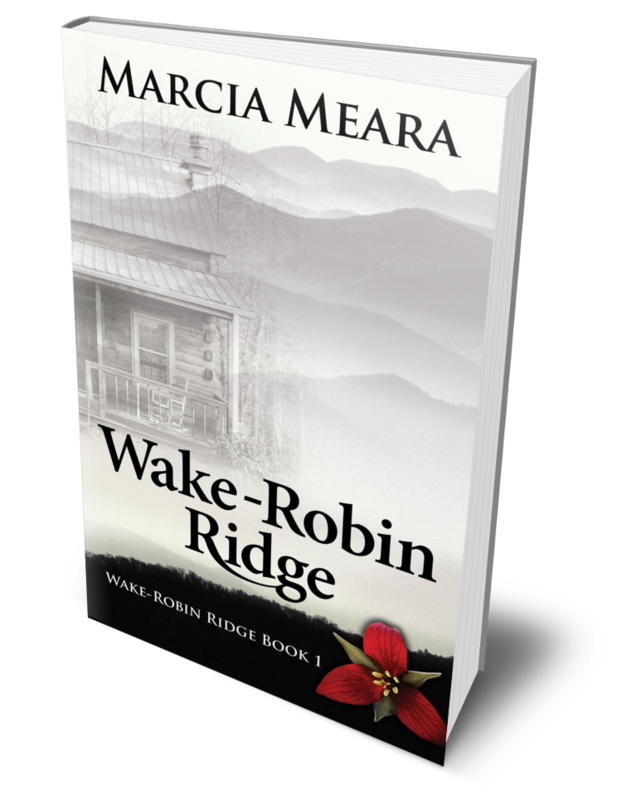 My review in August will be Marcia’s ‘Wake-Robin Ridge’ which I’m really enjoying ( chap 10 ). Oh, wow, Janet! How nice that you are planning to review Wake-Robin Ridge. I hope you’ll continue to enjoy it. You are rapidly approaching a point in the story when things start happening very fast, both in Sarah’s life, and in Ruth’s. Hold on to your hat! And I agree that this is a great idea. I’m going over several reviews I want to get written and share with the world. Thanks for stopping by today! Yes, I hardly dare read on I’m so scared for Ruth. I do like novels running in more than one time. I like writing in first person, but never thought of using third person for other characters, such as Mac and solving the problem what’s going on when Sarah’s not there, or what is he thinking? I’m glad that’s working for you. I didn’t invent the idea, of course, and have always loved books with multiple points of view. In fact, I prefer them, because I enjoy seeing what’s going on in the heads of characters surrounding the protagonist. It always makes it more interesting, to me, as long as there’s no confusion when the POV shifts. (I do it with either complete change of scene or a new chapter, altogether). 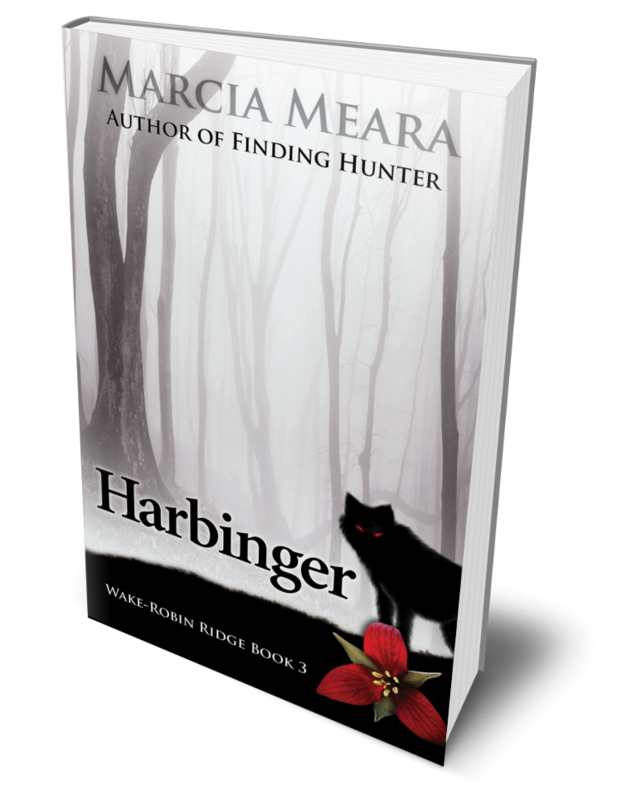 Many thanks Janet, great to hear you are enjoying Marcia’s book. I enjoyed it, too, JJ, and I wish I could take credit for it, but this was actually posted by Rosie Amber, one of the contributing authors here. And I agree, it is a GREAT idea, and I’m very glad you shared it. Thanks so much! I’m working on a couple of things to review for this month, myself, thanks to Rosie’s and Terry Tyler. Have a super week! So here’s my 5 star review on Amazon.co.uk for Wake-Robin Ridge. I have also posted a different review on Goodreads. Now I’m off to look up more about the Blue Ridge Mountains and that creepy plant I’m glad I don’t have in my garden, but which is a brilliant device for mysteries! Even the two dogs will steal your heart in this gripping story. 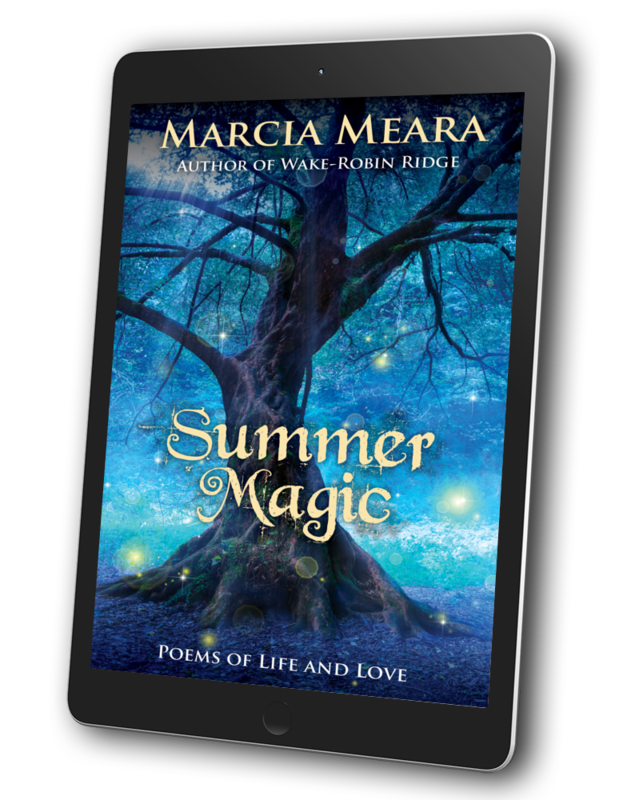 ‘A great story teller’ was my first impression as I quickly got into this story, or rather two interwoven tales. I enjoy novels set in more than one time and in this book the chapter headings helpfully tell us when and where we are. I have never been to the USA and if I ever get there I would rather visit Wake-Robin Ridge than Disneyland! 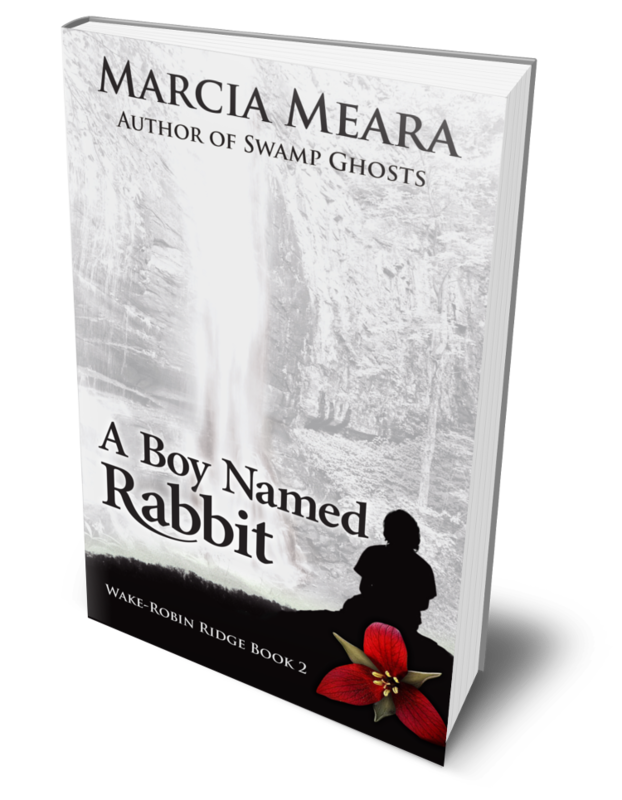 This is a rounded tale, a romance and ghost story, but also a delightful journey to a beautiful part of the USA. Two very different love stories and four very different lives. 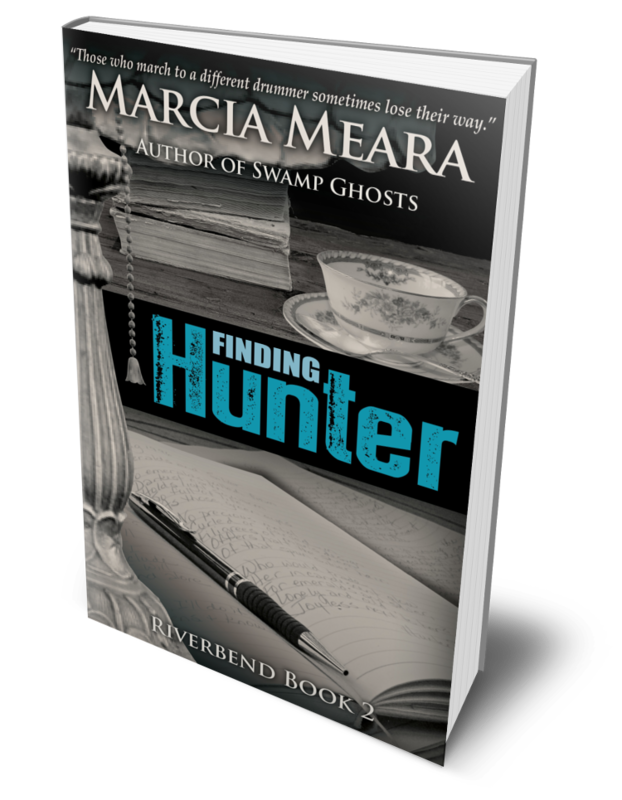 I was so involved, that half way through the novel I thought I had misread that it was also a ghost story, so when the first paranormal event occurred it came as a complete shock. Without giving anything away, the description of that first night of terror was more vivid than any horror movie. If I did visit the Blue Ridge Mountains, I would certainly not stay by myself! I look forward to reading more by this author. Fantastic Janet and thanks for sharing. 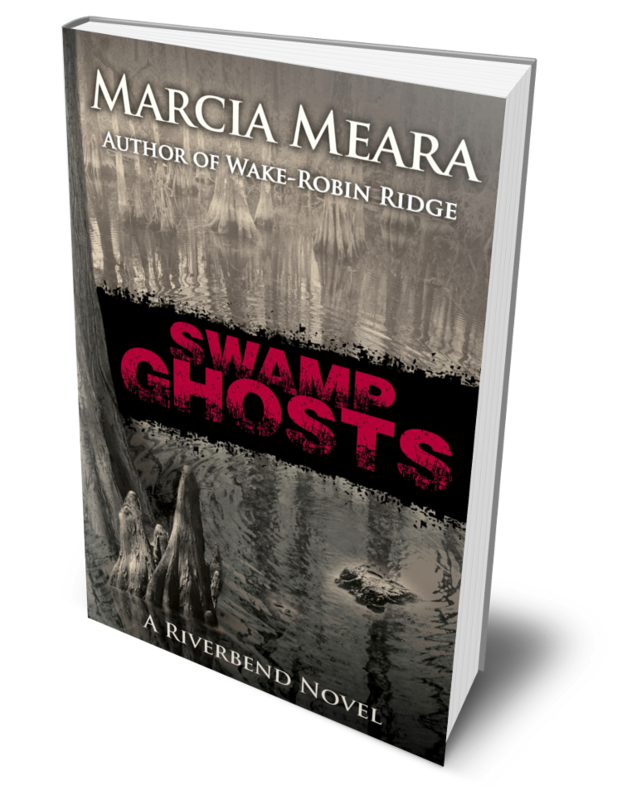 I’ve read the next two in this series and can highly recommend them, or even Swamp Ghosts, Marcia’s first book in her other series set in Florida. And may I take a moment to thank you on behalf of ALL writers, everywhere, for all you do to support us and spread the word about our work. I’ve said it before, and I’ll say it again: You ROCK, Rosie Amber! I hope you don’t mind, but I think I’d like to share this in a separate post, so all our followers can see that belonging to a community like this one can result in some very positive things, beyond the friendship and camaraderie. THANKS AGAIN!! Hi Marcia, yes you are welcome to share my review in a separate post. My story lines definitely grow organically from my characters; I know some authors like to have the novel plotted out, but I soon realised my characters would not stand for that! Little clips like this can be good practice. Writing Amazon reviews means you’re engaging with a large readership, and you can begin to gauge what does and doesn’t flow publicly. Partly that’s because amazon is a beast and everybody’s on it, but partly too because book reviews are a public place for sharing open reflections on stories, which doesn’t happen as often as we’d like.